That's right, I will be attending this year's Golf Industry Show in Orlando Florida and will be doing a number of talks. I hope to meet up and talk with everyone I have met over the years on social media and am really looking forward to this event. I will be involved with 4 presentations during the week. 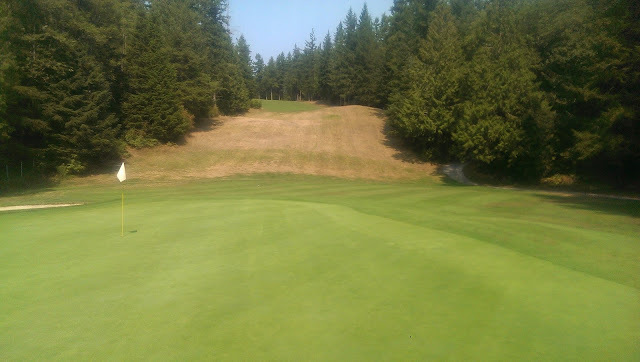 SUCCESSFUL LOW-INPUT TURF MANAGEMENT: IS IT PRACTICAL? I am very excited to join Doug Soldat, Matthew Crowther, and Chris Tritabaugh for this discussion. I've already seen their presentations and can say that you won't want to miss this. On Tuesday, Feb 7th at 9am I will be taking part in the lightning round presentations. These presentations are from a wide variety of people and are only 2 minutes long each! I will be sharing the craziest things I have observed over the years on my golf course. This is sure to be a lot of fun. I am very excited to be a part of this seminar because the MLSN has changed the way I manage turf over the past 5 years. The really cool thing about this seminar is that it will have one of the MLSN's creators presenting along with my 5 years of practical experience. This seminar promises to give you the best scientific but also practical introduction into the MLSN guidelines and how they can benefit your operation. Finally, On Wednesday Feb 8th I will be doing a short presentation and demo of digital job board technology on the trade show floor. This will be my first time to Florida and the GIS and I can't wait to meet everyone there!